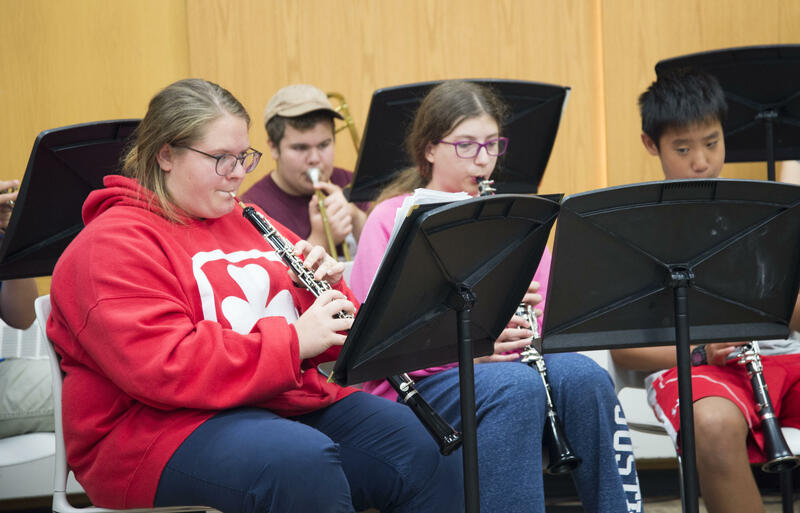 There is so much to enjoy at OMMC! 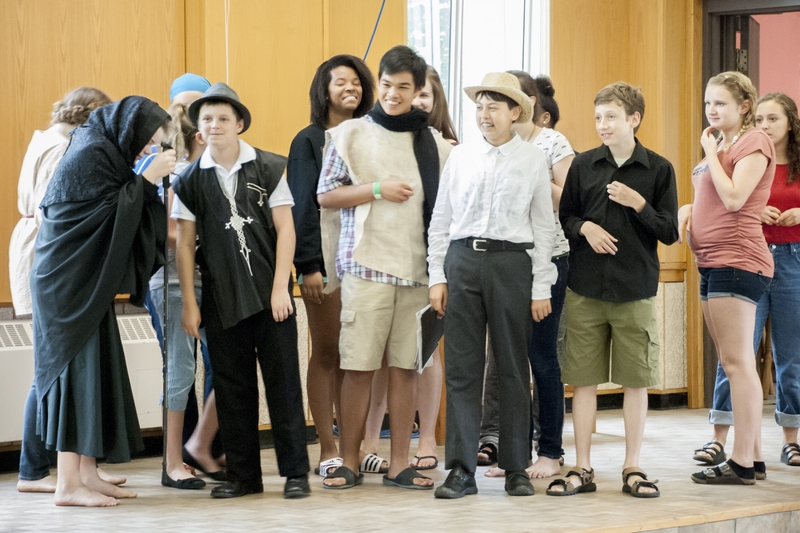 Check out some of the highlights from previous years below. 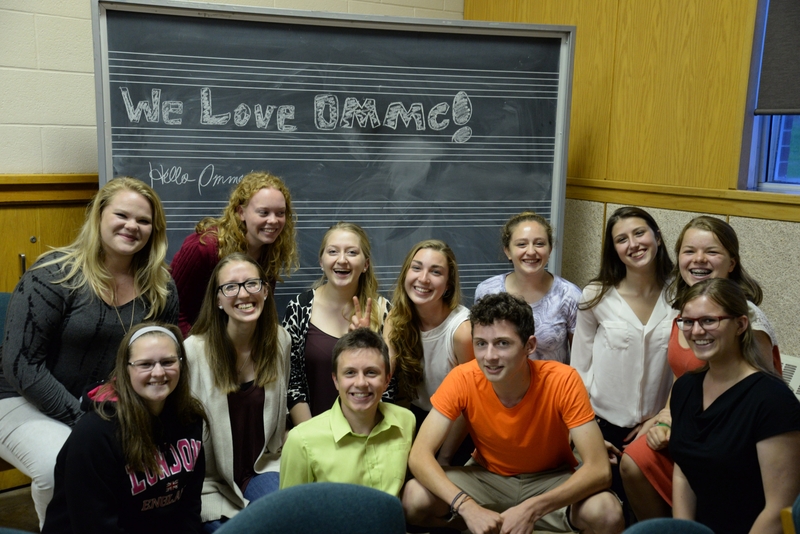 Having a blast at OMMC! 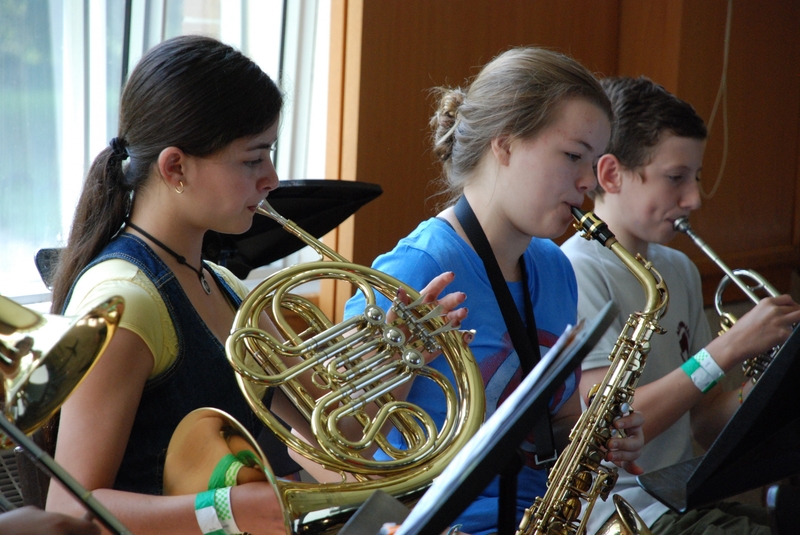 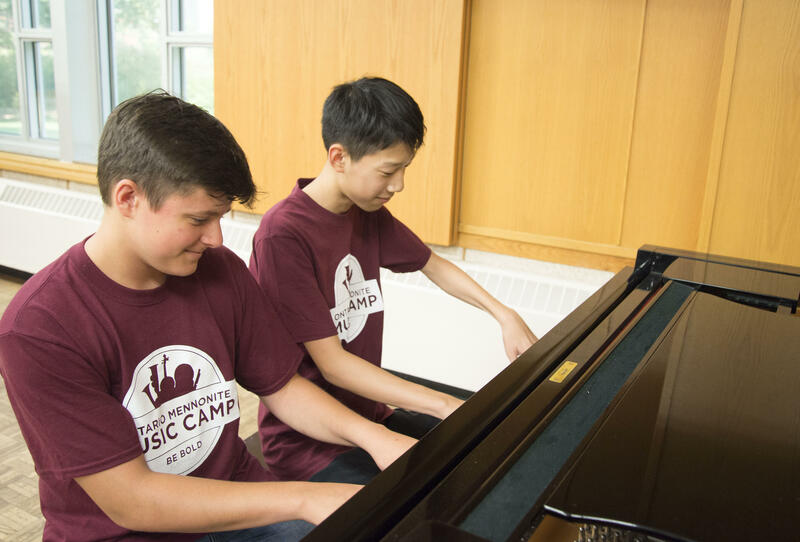 Campers practicing in the Grebel Great Hall. 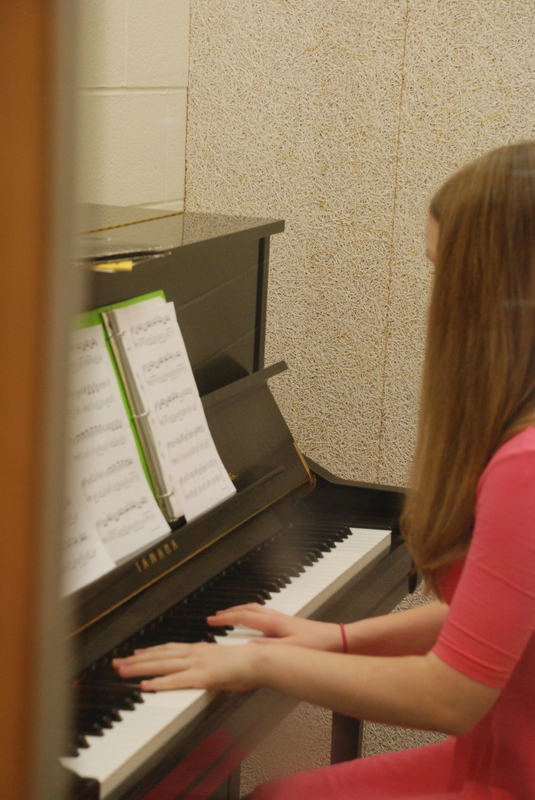 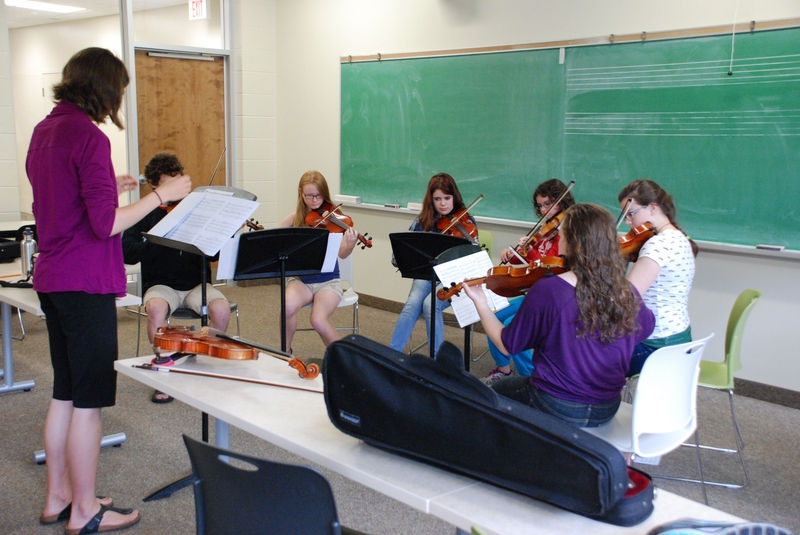 Making use of the Grebel practice rooms. 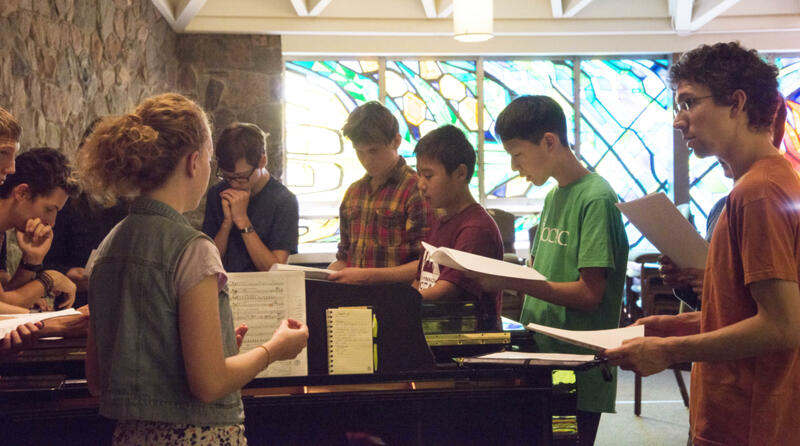 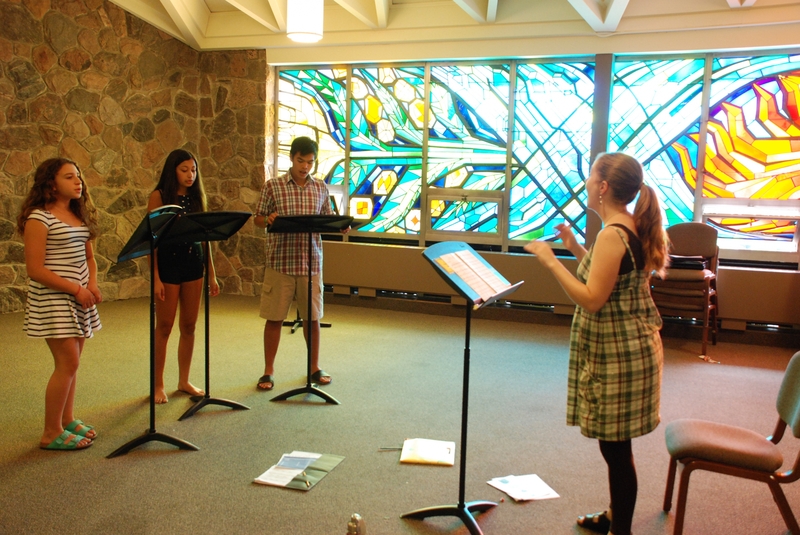 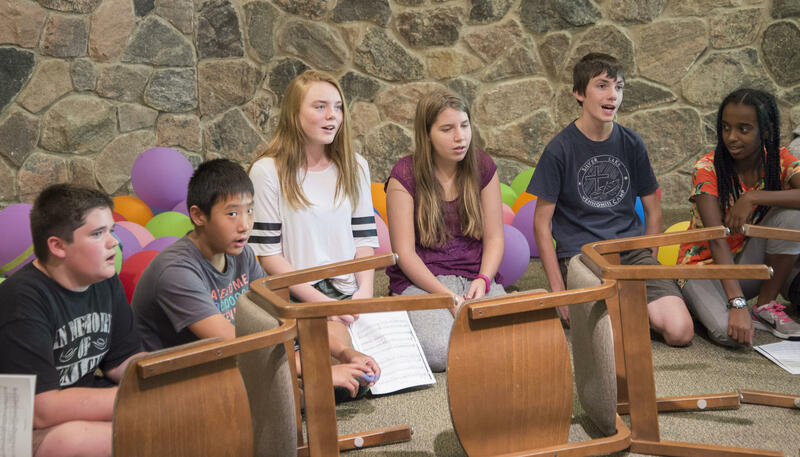 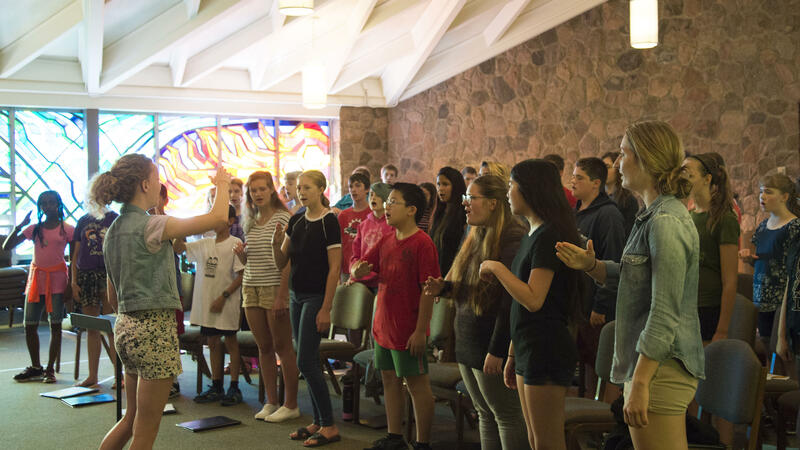 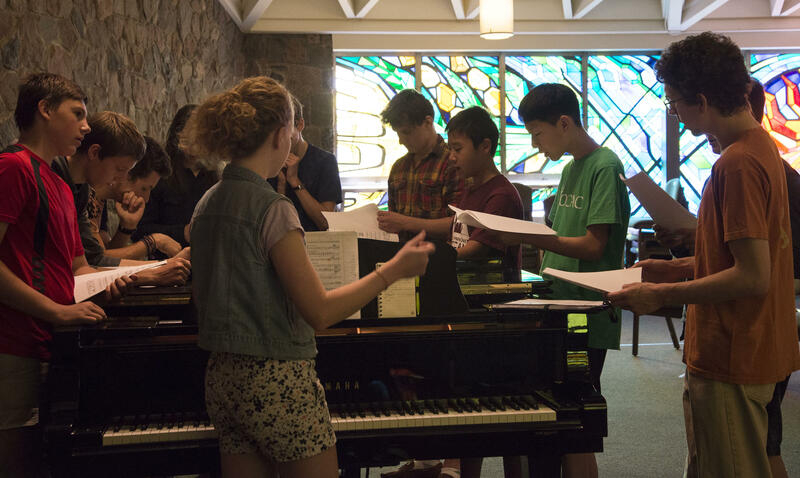 Campers practicing in the Grebel Chapel. 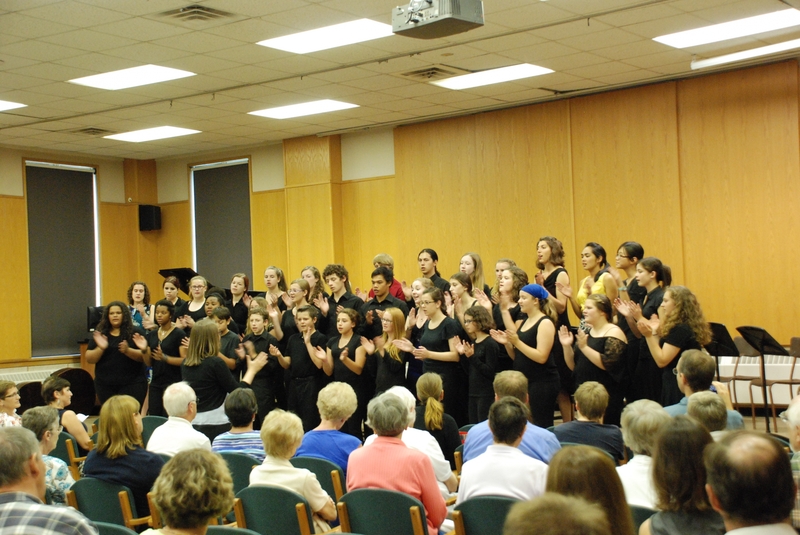 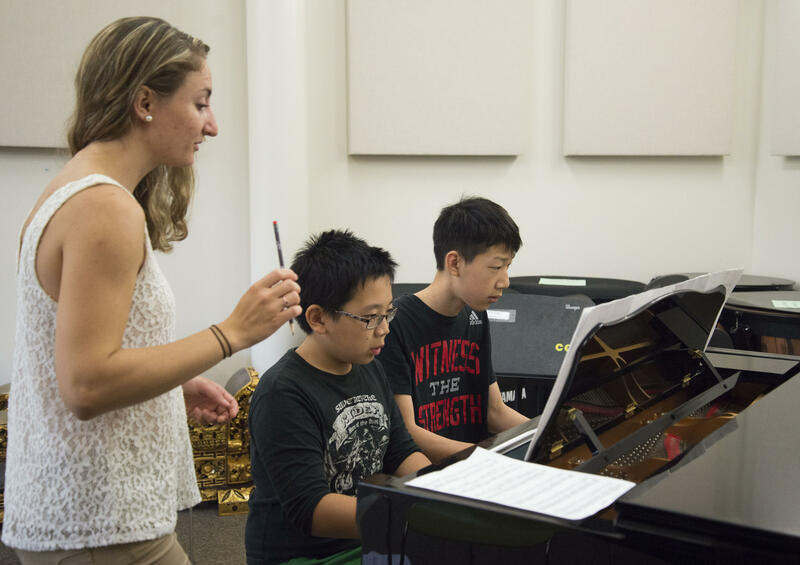 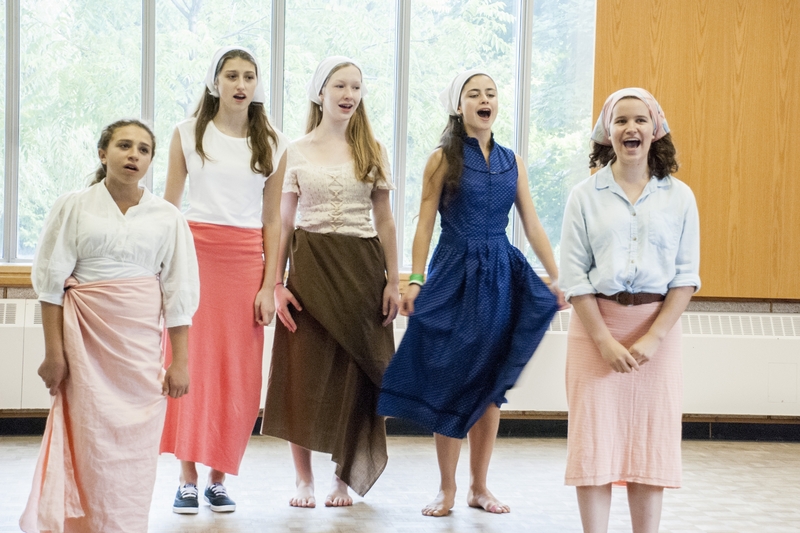 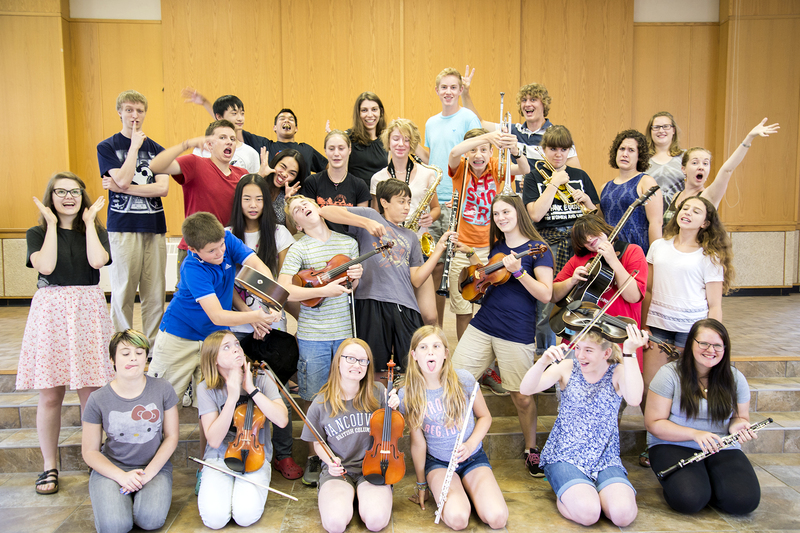 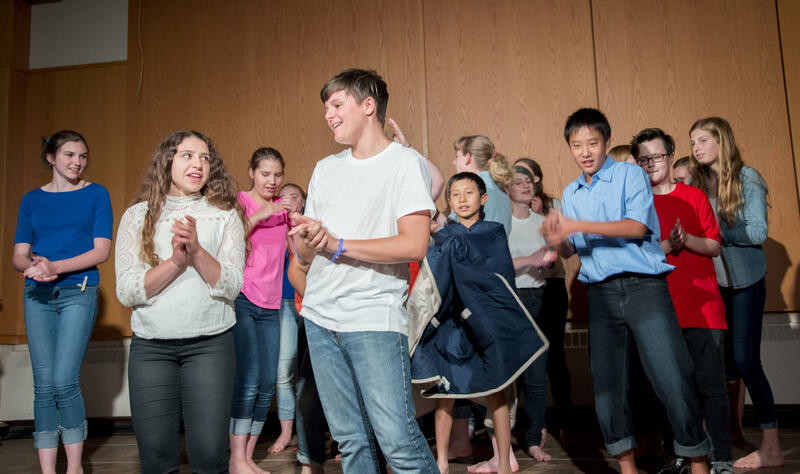 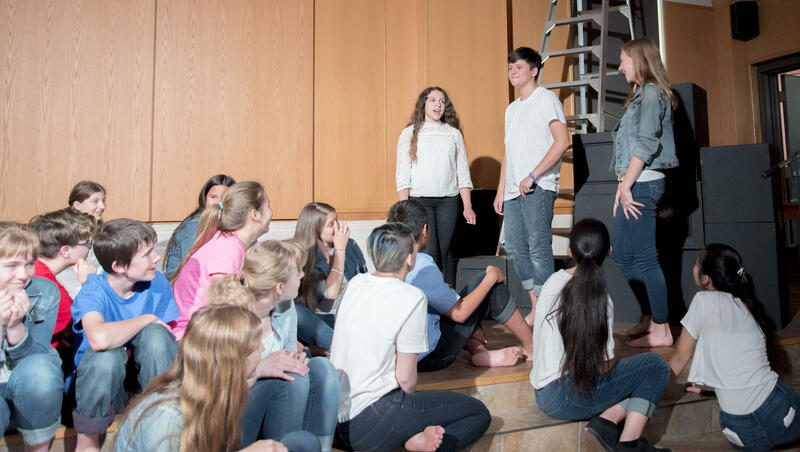 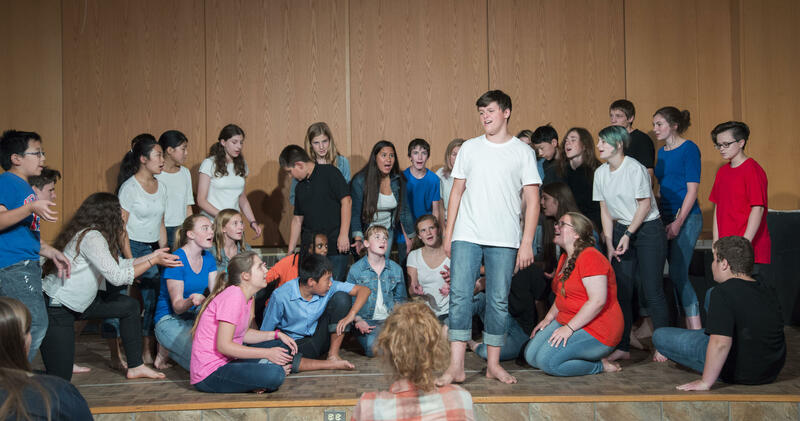 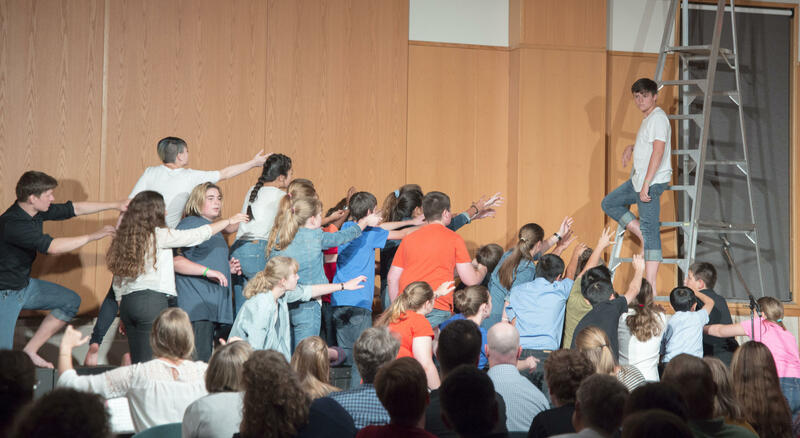 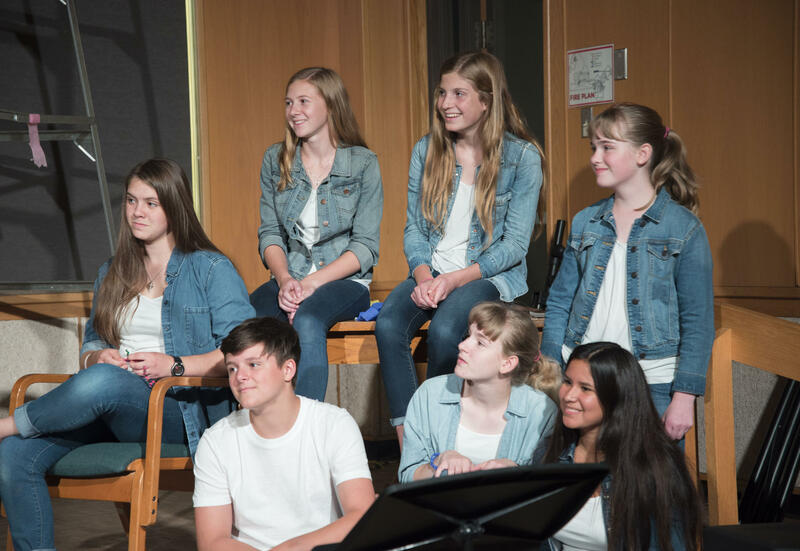 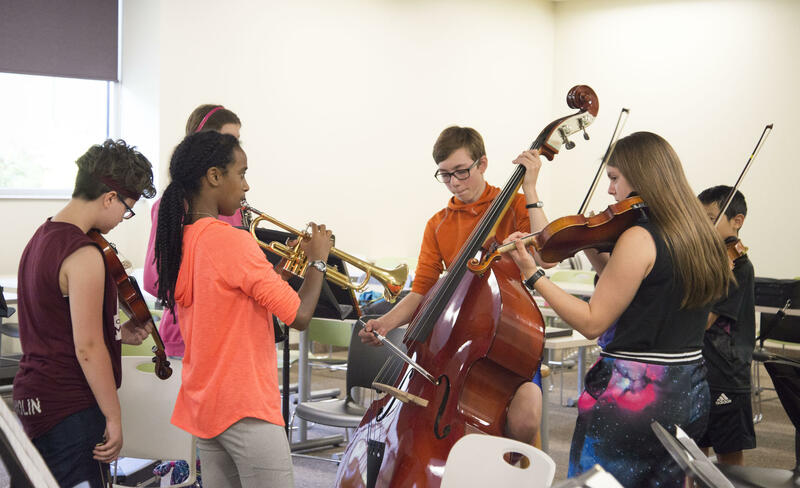 Rehearsing for the 2014 production of "Fiddler on the Roof"
Rehearsing for the production of "Fiddler on the Roof"
Previous OMMC campers reuniting at the 2015 final concert. 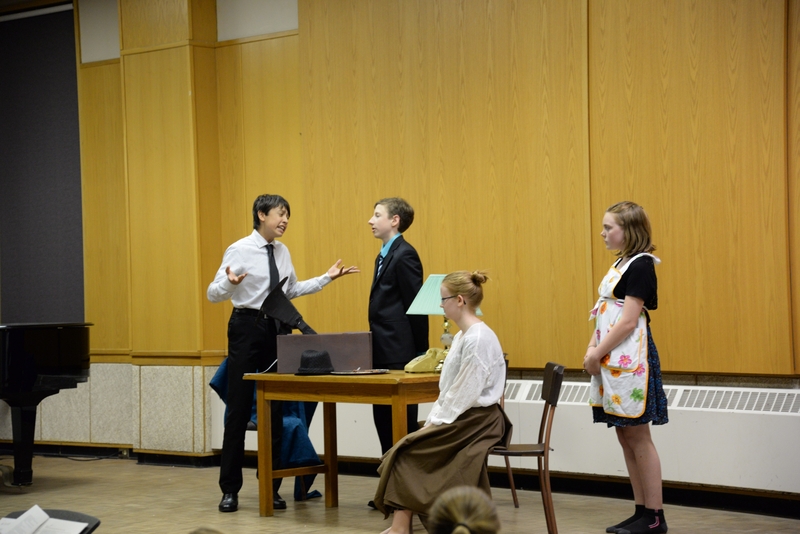 Performing My Fair Lady at the 2015 final concert. 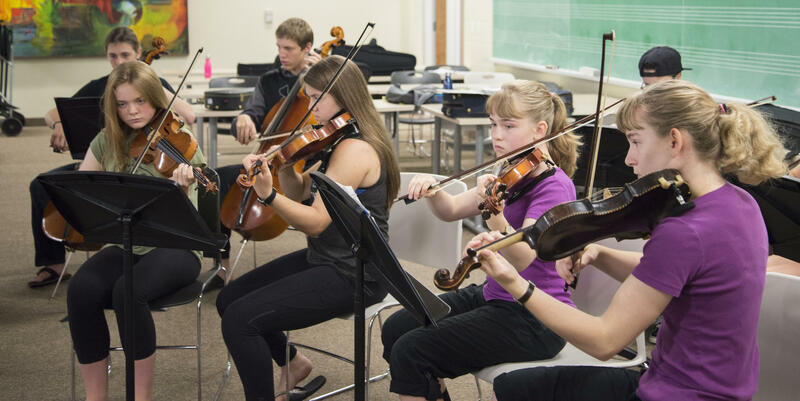 Students in the strings master class.